St.Patrick’s Day — an excuse to wear green, pinch people and get blathered drunk. Or is it? The Daily Clog decided to do some digging into the history of this special day. St. Patrick’s Day is traditionally what it sounds like: a saint’s day, or a religious holiday. Despite the stereotypes, saint’s days aren’t usually met with copious amounts of alcohol any more than Easter Sunday (generally) is with your family. But before you begin to fall asleep — St. Patrick’s history is a little more interesting than some might have you believe. No, St. Patrick started off as a citizen in Roman-occupied Britain who was kidnapped by pirates and sold as a slave to Ireland and worked as a shepherd for some years until he was able to make a bid for freedom and return back to where he was from. So why is he the patron saint of Ireland? Legend has it that when St. Patrick was back home, he began to have visions of the Irish people calling out to him saying that they needed him, so he returned as a bishop to spread Christianity to the druids. As he spread the gospel, St. Patrick famously used a three-leaf clover to explain the concept of the Holy Trinity. As a result, he is often pictured with a shamrock in his iconography. There are many fascinating anecdotes about St. Patrick’s time converting the Irish natives, but perhaps the most well-known misconception is about him chasing the snakes out of Ireland. Were there really snakes? In that climate? Not quite. The snakes were metaphorical and likely referred to the druids, who had a hold on the Irish people of that time. The druids did not like Patrick because he was converting their followers at an astounding rate and causing their influence to dwindle. Once St. Patrick made it to the king, he performed miracles that were said to be better than the miracles of the druids. This is what solidified his influence in Ireland, as he helped chase the druidic “snakes” from the Emerald Isle and earned himself the status of sainthood because of the divine providence that was apparently visible in his life. In the 1760s, Irish American immigrants turned the holiday from a somber day of religious observance into a celebration of Irish culture with the first St. Patrick’s Day parade. Like many immigrants, the Irish were eager to gather together and celebrate their cultural heritage and identity. They figured, “What’s a better day to celebrate than on March 17 — a day dedicated to one of Ireland’s patron saints?” Wearing green in solidarity, especially during persecution in the 19th century, became a tradition that Irish Americans haven’t lost. The modern St. Paddy’s Day celebrations arrived in Ireland in the mid-to-late 1990s, as the country began to develop a stronger cultural identity and sought to promote tourism. Now, it’s a national holiday in much the same way that the Fourth of July is for Americans. 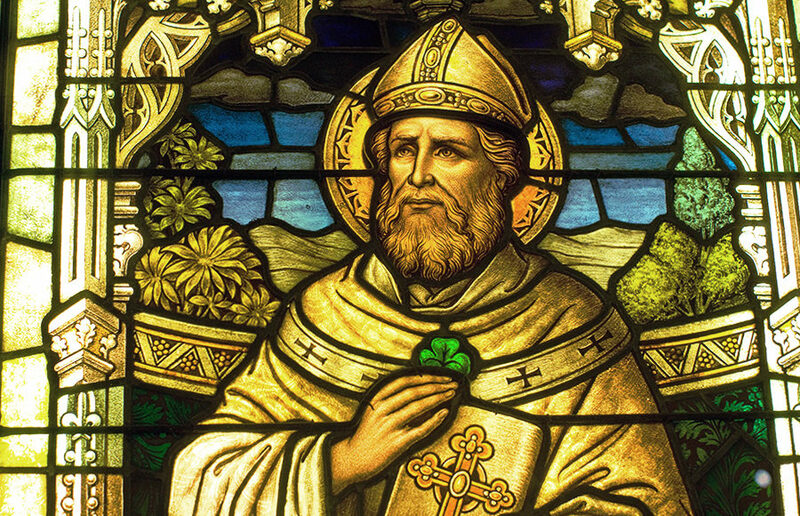 However you choose to celebrate St. Patrick’s Day this year, play safe and keep in mind the British slave turned patron saint who dedicated his life to the Irish.